HÀ NỘI — Việt Nam reported a trade surplus of US$100 million in October, bringing the country’s trade surplus to $6.4 billion in the first ten months. Notably, the domestic sector posted a trade deficit of $20.7 billion in the period while the foreign-invested sector enjoyed a trade surplus of $27.1 billion, the General Statistics Office (GSO) said in a monthly report. In the January-October period, the nation’s export value amounted to $200.3 billion, up 14.2 per cent year-on-year. Of the sum, the foreign-invested businesses contributed 72 per cent or $143.5 billion, a yearly rise of 13.2 per cent. 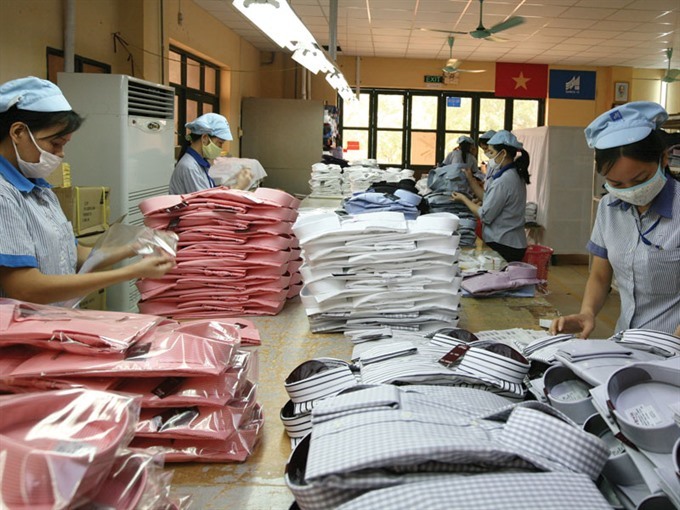 Among Việt Nam’s export staples, which posted strong turnover in the period, were phones and accessories at $40.7 billion, up 11 per cent; garment and textiles with $25.2 billion, up 17 per cent; and electronics, computers and components with $24.3 billion, up 15.2 per cent. Others included machinery, equipment and parts with $13.5 billion, up 28.3 per cent; footwear with $13 billion, up 10 per cent and fruit and vegetables with $3.3 billion, up 15 per cent. However, crude oil exports plunged in both value and volume by 25 per cent and 45 per cent compared to the same period last year, hitting $1.82 billion and 3.21 million tones, according to the report. The US remained Việt Nam’s biggest export market, with a turnover of $39 billion, up 13 per cent year-on-year. It was followed by the EU with $34.9 billion, up 9.9 per cent, China with $32.1 billion, up 21.3 per cent and ASEAN countries with $20.6 billion, up 15 per cent. From January to October, the country spent more than $193.84 billion on imports, surging 12 per cent year-on-year. The foreign-invested sector imported $116.3 billion worth of goods, 11.7 per cent higher than the corresponding period last year, while the import value of the domestic sector totaled $77.5 billion, a yearly rise of 12 per cent. Import items with a fair turnover in the ten month period included plastic ($7.4 billion, up 19.3 per cent), petroleum ($6.8 billion, up 20 per cent), metal ($6.2 billion, up 30 per cent) and chemicals ($4.2 billion, up 26 per cent). China remained Việt Nam’s largest import market during January-October with turnover of $52.9 billion, a 12.4 per cent increase year-on-year. South Korea ranked second by shipping $39.2 billion worth of goods to Việt Nam, up 2.1 per cent year-on-year, followed by ASEAN nations with $26 billion, up 13.1 per cent. After significant declines over the past months, Việt Nam’s trade deficit with China rebounded with a modest yearly increase of 1 per cent in the first ten months at $20.8 billion, while that with South Korea dropped 8 per cent year-on-year at $24.3 billion, according to GSO statisticians.